Impact Sports: Parents Night Out! Name: Impact Sports: Parents Night Out! Let us take care of your kids while you take a night out for yourself! 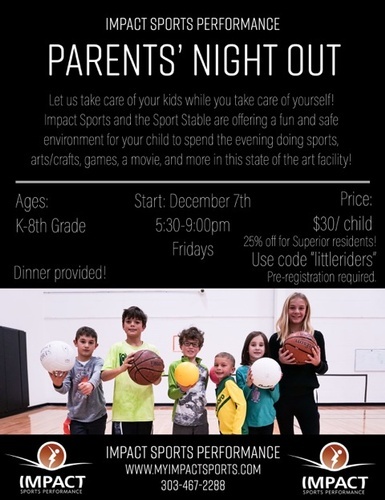 Impact Sports and the Sports Stable are offering a fun and safe environment for your child to spend the evening playing sports, doing arts/crafts, games, pizza and a movie in this state of the art facility!